Thank you for visiting Lansing Party Bus. 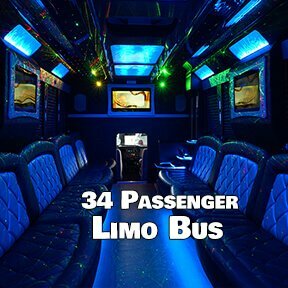 We provide party bus service in the Lansing area and the entire state of Michigan. 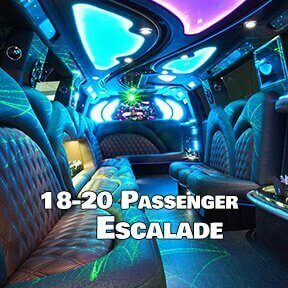 We have a variety of limo style party buses that have all of the latest features you could want. We have professional chauffeurs that are experienced and can get you to where you need to go. They know their way around the area and are also equipped with GPS systems. We service all events with our specialities being Detroit sports team trips, bachelor parties, bachelorette parties, birthdays, proms and high school dances, Michigan State University Football tailgating and many more! There's a reason why so many locals in the area love to use our transportation services. We're known to be the most affordable transportation service in Mid Michigan, with a quality that simply cannot be beat. With our amazing vehicle features, attention to detail, ability to service any event, and diverse fleet of party buses and limousines, you'll see that we're the company to call whenever you need transportation for a group of passengers. Be sure to give us a call as soon as you want service, as our vehicles book up quick! All of our buses come standard equipped with deluxe features, from the very big to the very small. You can enjoy features such as an incredible sound system that brings the party to you, HDTVs with DVD and Blue ray capabilities to play anything you want while you're here. Our premium leather seating is both comfortable, luxurious, and posh, and the LED lighting allows the nus to fit any style or color you have in mind, to fit your night and your mood. Almost all the buses come in with a dancing pole as well so that you can enjoy the night dancing right on the bus. This is further made happen by the luxurious wooden flooring and party style lighting. The built in bars and coolers allow you to drink aboard the bus in style turning it into your very own mobile bar. With our extensive fleet you're sure to find a bus that will make your trip unforgettable. When you see the prices you pay for such incredible service, you won't be able to believe that you get so much for so little! Call today to get a quote on your trip! Events That Are Great Reasons to Give Us a Call! 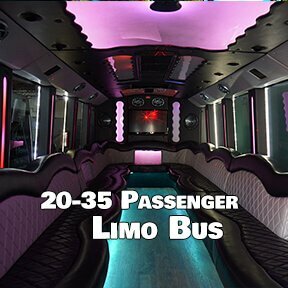 There are zillions of reasons to rent a party bus, just so many different types of events and celebrations that are perfect for this mode of transportation. But below you'll find juts a few of our most popular ones with suggestions for how to maximize your experience with each one! Bachelor Parties - It's hard to think of an event that is more synonymous with party bus travel than bachelor parties! It's your last night of freedom, a night to get wild and crazy with your boys! We suggest requesting our wildest vehicle with the most exciting entertainment features and really living it up! Stock the bar with brewskis and get ready to get crazy! Bachelorette Parties - Bachelorette parties are also just perfect for party bus travel! Fill the bus up with pink balloons, bring a bottle of pink champagne, and celebrate your big day in whatever way you desire! Some of our customers love heading out to the bars, some do a spa day, and some even do a full day of outlet mall shopping! Whatever your heart desires, do it in style with us! Birthday Parties - Whether you're celebrating any old birthday or a milestone birthday, it's always a major memory-maker when you're with us! Visit all your favorite bars and restaurants, hit up some museums and other centers of culture in our beautiful city, and just do everything that you love the most on your special day. Bridal Showers - There are bachelorette parties and there are bridal showers, and if you're including the latter in your pre-wedding day celebrations, there's no better transportation than ours! When you're looking so beautiful and celebrating your union with everybody who loves you the most, offer them an incredible ride to the banquet hall. Don't forget the champagne! Concerts - Beat the traffic and leave the parking issues behind! You'll be dropped off and picked back up right at the door. You'll feel like you're the main act arriving in a VIP tour bus! Live like a rock star and feel like a million bucks when you're heading out to the big show! Corporate Events - Our services are just as ideal for business events as they are for the fun times! You can make use of our entertainment features for your business presentations and podcasts. Even get some work done on the way there in such a cozy atmosphere! Detroit Sports - Heading out to see the Detroit Pistons, Detroit Tigers, Detroit Lions, or Detroit Red Wings? Skip the hassle of driving out to these games in your own vehicle and have the best tailgating experience of your life! Night Out - Do we even need to tell you that nights of bar hopping are made better by party bus travel? It's got to be the number one reason to rent one and we definitely recommend that you do! Don't worry about a designated driver, choose bars on the fly, and just enjoy your night out to the fullest! Looking for something different? Try our partner site at Lansing Limo. 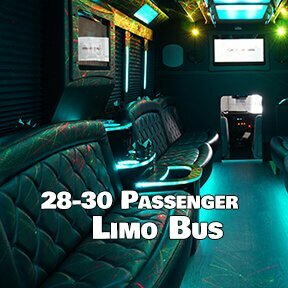 If you aren't in Lansing you may want to check out some of the top notch party bus company's across the country such as Los Angeles Party Bus, San Francisco Party Bus, NYC Party Bus, or Las Vegas Party Bus.